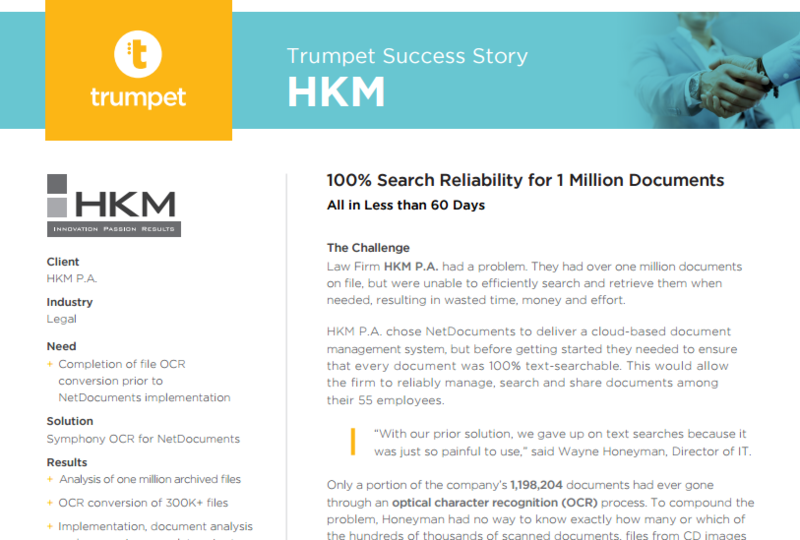 "We gave up on text searches..."
Wayne Honeyman, Director of IT at HKM P.A., was fed up with text searching through their 1 million+ files. They needed an efficient way to search their repositories. The solution was Optical Character Recognition (OCR). To learn how they achieved this in less than 60 days, download the complete case study by filling out the form.